These are the latest people to have been named and shamed in a crackdown on litter in Sheffield. Some 30 people were hauled in front of Sheffield Magistrates’ Court in just one day to answer why they thought it was acceptable to dump litter on the floor. 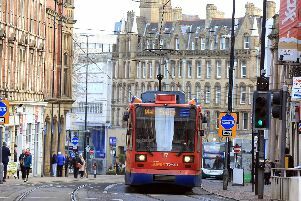 Sheffield Council’s Environmental Protection Service brought the prosecutions after each person was offered the opportunity to pay a £75 Fixed Penalty Notice. Each of them declined to pay the FPN, and so were taken to court and prosecuted. All the offenders were fined, as well as being told to pay the council’s costs and a victim surcharge of £20, with their fines totalling £7,840. Coun Bryan Lodge, Sheffield Council’s cabinet member for the environment, said: “I am pleased that once again the courts have supported our firm approach to tackling littering in the city.